Fifteen years after hundreds of factory workers suffering from mercury poisoning from a Hindustan Lever thermometer unit petitioned against the company, justice has been served. The memorandum of settlement reached between Hindustan Unilever Limited (HUL) and Pond’s HLL ex-Mercury Employees Welfare Association was announced after it was recorded by the High Court of Madras on Wednesday. 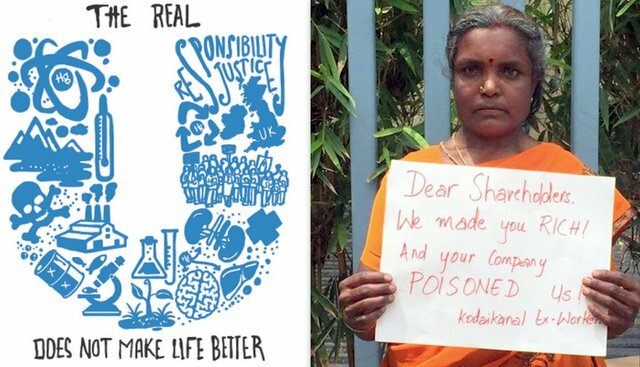 Even though the case against HUL had been going on for 15 years, the matter had been raked up last year after a video by activist group Jhatkaa highlighting the issue had gone viral. In the process HUL had suffered a volley of negative press. “We have worked hard over many years to address this and find the right solution for our former workers. We, alongside all involved, are glad to see an outcome to this long-standing case. The wellbeing of our employees and the communities in which we operate has and will always remain paramount. This agreement demonstrates our commitment to this”, a representative from HUL said in a press release. The company however still maintains the issue was blown out of proportion and that the harm caused by the factory isn’t as huge as it was made out to be. “The workers had been offered alternative jobs in another unit of the company. However, they opted out of service. Several expert studies have been conducted since the factory’s closure and all have concluded that our ex-employees were not harmed by working in the former thermometer factory in Kodaikanal. Nonetheless, since this issue first came to light HUL has actively sought to address it in a responsible manner.”, the press release said. For consecutive years, the various brands under Hindustan Lever, the Indian subsidiary of the multinational FMCG giant Unilever, have won the laurels for being the most trusted brands in India. With this move, if delayed, the company may have just defended the honour.